For most people, their home is their biggest investment, and the first step in protecting your investment is to have a good roof. 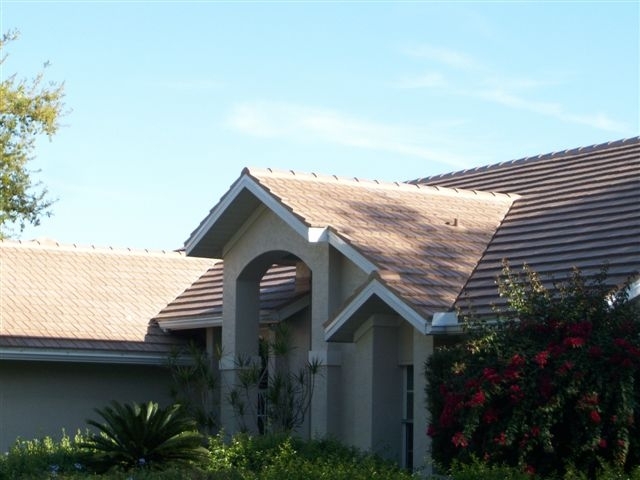 Depending on the material, many roofs are only made to last up to ten years. After that time, they may start to go or debris can begin to affect them more. It is important to find a reliable, qualified roofing contractor to ensure your home is properly covered and secure. A bad roof installation could put your home at risk so it is important to hire someone professional and that you can trust. Here are some tips on how to choose a roofer. Check with friends or acquaintances that have recently replaced their roof for recommendations. You can even drive by their house to look at the finished product yourself. However, even with a referral, problems can still arise for your project that didn't occur on your friend's, so it is important to still evaluate the roofer. Make sure the roofing contractor has insurance. Find another contractor if your roofer tries to do business without insurance or is willing to sign a contract that states accidents are his or her responsibility. You will likely wind up paying for the accident if someone gets hurt, regardless of the contract. Protect your investment by ensuring your contractor has insurance. Compile a list of possible contractors and evaluate each of them carefully. Professionals will be more than happy to answer any questions you may have. Set up a meeting to discuss their qualifications and your needs. Pay attention to the representatives attitude. Since good contractors will be enthusiastic about working with you and take pride in their work, it will be easy to notice the red flags of a bad contractor. Hiring a good roofing contractor should be made simpler if you follow these steps. As long as your roofer is enthusiastic, has insurance and is either a referral or has great references, your home should be in good hands. Replacing your roof is not a cheap prospect. After paying out a lot of money for quality materials, it is a good idea to select an experienced roofer for your roofing installation project. Too many people try their hands at roofing with not so professional results. Wavy lines of shingles are obvious signs of inexperience that any of us can see. However, the problems can go much deeper. Whether your roof has shingles, tiles, or other roofing materials, if the roof is not prepared correctly to protect it from the elements, damp weather and snow can cause dry rot that can go unnoticed for many years. Once that happens, major work has to be done to correct the problem. By using highly-experienced workers with years of experience, you can depend on the kind of work being done that you would want to do yourself. Whether you are a perfectionist or not, you will want to work with a company that is. Written guarantees are a must, and it is a good idea to get them up front before any work is started. If you visit with a salesman or contractor and can tell they love their work, it is a good sign that they will take pride in doing your roofing installation. Good roofers depend on word of mouth advertising to expand their business. They will not want to take your money and run, or even worse, do a sloppy job that will ruin the looks and integrity of your home. You do not want to use a contractor that will cut corners to save a little money. Roofs are a long term investment that gives a home that special look to observers that shows the owner cares and is adding to the beauty of not only his home, but to the entire neighborhood. Roofing installation is best done by a professional who has your goodwill in mind and will work to your satisfaction. You do not want to accept anything less.